After director J.A. Bayona ditched the zombies of World War Z to play with dinosaurs in Jurrasic World, Brad Pitt has been in the market for a new director for his sequel. 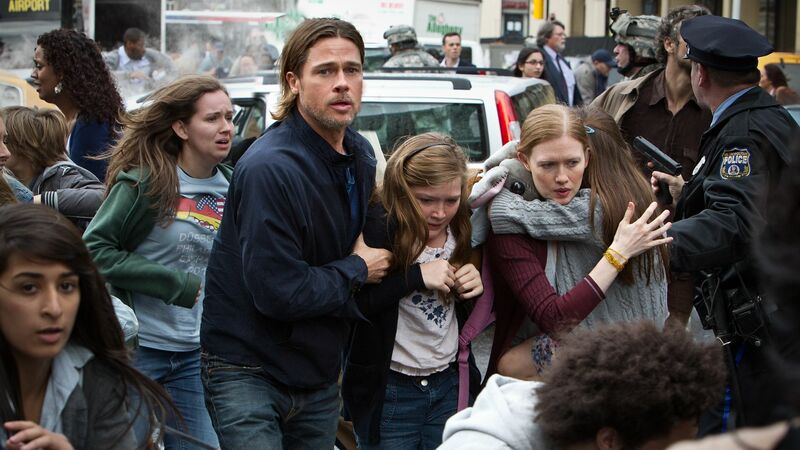 Variety reports that Pitt, Paramount, and Skydance are speaking with David Fincher to helm the World War Z follow up. Fincher has not directed a feature since 2014’s Gone Girl; Fincher’s attention has been on television, recently working on Netflix’s Mind Hunters. Pitt, the star and producer of the sequel has been on the hunt for a new director for some time. Pitt has met with several in the last couple of weeks but now seems to be set on Fincher. Originally June 9th, 2017 was the scheduled date they had to open the film, but after Bayona’s exit, it was no longer achievable. Sources say the sequel will begin filming early 2017. It’s known Fincher is not a fan of sequels, in the past voicing how he really felt while working on Alien 3, but Pitt might be the saving grace. Pitt and Fincher have a great working relationship and sources say Fincher is always willing to hear what Pitt has to say. Although, first reports of negotiations with Fincher reportedly did not go as well, now, they are said to be further down the road in talks and there is an offer on the table. This would make four films that Pitt and Fincher have worked on together following Se7en, Fight Club, and The Curious Case of Benjamin Button. Plot details for the sequel are tightly under wraps, but we can all assume it will take place during the zombie apocalypse. The success of the first film, which brought in $540 million worldwide, was based on Max Brooks’ best-selling novel World War Z.